Home > Adults > Order your Poinsettias! 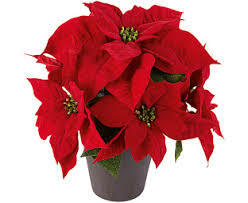 Order a Poinsettia from St. John to honor or remember a loved one this Christmas as decoration for services on Dec. 24th! Then you may take it home. Or you may order them for pick up Dec 19th or 20th. Download and print a POINSETTIA order form or pick one up at church. $15. Proceeds benefit the Altar Guild ministry at St. John. Also, if you would like to make a donation for any of the main church decorations (tree, wreath, garlands, candles), please contact Paula Matson.